Where were you six years ago? What was on your mind? Wouldn't you love to read those thoughts today? Our memories are our most treasured possession but with time all memories fade. Enjoy reading about your children growing up. Or your grandchildren. What was your child doing this same day last year? Every time you make an entry in our ten year journal you can see what was happening in your life on that day in years past. Use the Journal 10 to document the first decade of a child’s life, record a whole family’s important milestones or create your own personal memoir for posterity. The Journal 10 provides the ideal tool to put an actual pen to actual paper and create an actual permanent memoir. Just scribble down a few sentences each day and, before you know it, you have a decade of memories and observations at your fingertips! Each "daily page" of the Journal 10 offers room to write about one day - March 6th, say - every time it comes around from 2014 to 2024 (start any time in 2014). What fun to compare what was happening in your life on any given day as the years go by. The subject matter is totally up to you...record what you do or how you feel, what your children say or do, what you eat or what you read, financial data or medical notes, local weather or world events - be creative! This convenient personal volume also offers sections for long-range planning, monthly overviews, addresses and phone numbers, and special dates. Bound in a bonded genuine leather cover, this unique diary will quickly become a treasured possession. A quote from an historical figure can be uplifting, but to read that quote from the actual book or letter written in that person’s own hand takes that feeling to an awe-inspiring level. The handwritten word creates a more intimate connection between the reader and writer than a typed page or screen, and the Journal 10 will create that connection. I've been using these journals for over a decade now. I'm busy, like everyone else, but it seems easy to jot down just a few lines about each day. I look back over the years and see, 'Heck yes! I have done a thing or two in my life.' It's so easy to forget all the things we've experienced. It's fun to be writing an entry and look up on the same page and see what was happening a year ago, or five years ago. I've kept a journal for decades, and I bought three of these in order to condense the many notebooks. These work great and are very nice quality. I use gel pens, which can bleed through thinner paper, but they don't do that at all through these pages. Great item and fun to look at a decade plus all on one page for a particular day of the year. I love this journal and would not be without it. The daily entries make it possible to enter short detail but also offers carry-over pages when more space is needed to record events. All of this in a format that offers a daily view for 10 years on every page! A separate section provides pages to track medical appointments and automobile servicings while yet another section allows you to keep track of goals and accomplishments.I purchased the first journal a year ago and I bought this second one for my best friend-it certainly won't be the last one I buy. I was given this journal as I began high school. I have probably only missed about 10% of the days. Looking back at high school, college and grad school not to mention friends, sports and trips has been wonderful. As a 28 year old, seeing myself on paper at age 14 is amazing. It triggers memories that you have, but can not recall without this journal. I've been writing in one of these journals for almost 6 years....In only a few minutes, on just a few lines, you can write the highpoints of the day....you'll never regret buying this journal. It also has pages in the back for special notes, pictures to be put in, reminders, special dates..the possibilities are endless. I feel that this gift is one of the best gifts that you can give to a Mother, Daughter, Wife, Girlfriend or Family Member! I HAVE HAD A JOURNAL FOR THE PAST 10 YEARS. IT'S A GREAT RECORD OF YOUR LIFE. IT IS AMAZING HOW OFTEN I'LL GO BACK AND FIND I HAD A DATE WRONG OR COMMENT ON AN OCCASION. I've purchased a few of this type of record keeping books in the past for my own use and given them as gifts. As a wedding gift it was a unique way for a young couple to look back and realize just how much they accomplished in 10 years, as well a record of their children's lives. I was delighted to find this leather bound style book at Amazon. And recently purchased one for my retirement years. It's so much fun to see what has happened in the past years when filling in each days entry. And the weather and stockmarket tracking brings smiles and frowns as each day passes. My husband started this journal 10 years ago. He writes only a brief note each day: what movies we saw, where we went, who was visiting, etc. It has been remarkable how much we have forgotten, or gotten confused. I am getting ready to get him another one when the 2010 book comes out. I cannot recommend this book too highly. Wonderful heirloom for future generations!, January 19, 2009, Margaret Love "Bird Lover"
I bought my first Journal 10+ back in 1998 and it's been one of the best things I've ever spent my money on. Often, my husband will ask me what we did on a certain date and it's so easy to look it up. I also have our medical and financial records kept in it, as well as our weight, automobile repairs, etc. I just started a new one for 2009-2019 and also bought one for my brother. It's really a wonderful way to create an heirloom for your family, something to be cherished when you're gone someday. About twenty-five years ago, my mother kept a few journals. For the most part, she jotted down a few sentences each day about what our family had done, who we'd visited, things like that. I ran across one of her journals last year, and was surprised by the memories they brought back. A sentence as simple as "we had dinner with the Buchners this evening" reminded me of people and events I hadn't thought of in years. I haven't had much luck in keeping my own journals. I've bought several with the best intentions in the world, but then would go weeks, months and even years without making an entry. I recently read a review about a 5-year journal, and thought "perfect!" I went online to look for it, and ran across this journal instead. I've been writing in this journal for two weeks now, and I'm very happy with it. It takes me less than two minutes to make my four-sentence entry. If I didn't make the entry the night before, I jot it down while I'm having my morning coffee. appreciate the fact that the creator of this journal hasn't added anything "cute". Some of the other journals I looked at add annoying sections with titles such as "My Favorite Chuckle." This journal includes several blank pages, and if I want to add any "favorite chuckles" or other whimsy, that's up to me. I've already recommended it to several friends, and will be giving my mother one for her birthday. I am on year 5 of finding "journal moments" and what a powerful way to identify patterns. If I had to pick one "thing" to take on a deserted island- there is no contest. Just finishing my first 10 year journal and ready for another decade. It has proved invaluable in recording the dates of events in our lives. Our family refers to it often. It has held up well and we'd be lost without it. Also excellent for recording medical milestones. 10 year journal, September 21, 2008, Dianne Hawthorne "Journal writer"
I have been keeping a journal every year since 1969, usually in a 5 year format. I therefore have 8 journals in my drawer. I have not been able to purchase a 5 year journal for some 3 years, and thought I'd have to have 1 year versions. How pleased I was to be referred on to Amazon site with information about a 10 year journal! I wish I'd known of its existence earlier, as it is perfect for my needs. Brief daily jottings, but plenty of room to add all I want to write, with some extra space if need be at the back. The quality of the binding is very good, and I am ready to start next year. Thank you! For the past ten years, I used two of Dorene Clement's five-year journals. Now, for my next decade, I decided to try this 10 year journal, and I really like it better. At first, I liked all the cutesy parts of the Clement journals (like "favorite song" and "favorite dream") but I got tired of them after just a few months, and eventually left them all blank. This diary doesn't have any of those non-essential features. It's pretty much just lines for writing. I even liked having the address book in the back, just because I had been thinking "I should really back up all the phone numbers in my cell phone in case I lose it" but hadn't gotten around to it; when I got this journal I copied them all into the back. The binding is a gorgeous dark green, and the setup inside is really nice and user-friendly. The circles and slashes on the writing pages are a little weird, and not necessary, but they're tiny, so no harm done. I will enjoy using this so much-- I'll be 35 when I finish it up, and I fully expect to enjoy writing in it every day until then. This journal is wonderful. For anyone who wants to leave something of themselves for their family or just remember family events, this is great. There is enough room for daily enteries with extra pages if needed. I love writing in this family journal every evening. This product is priceless. 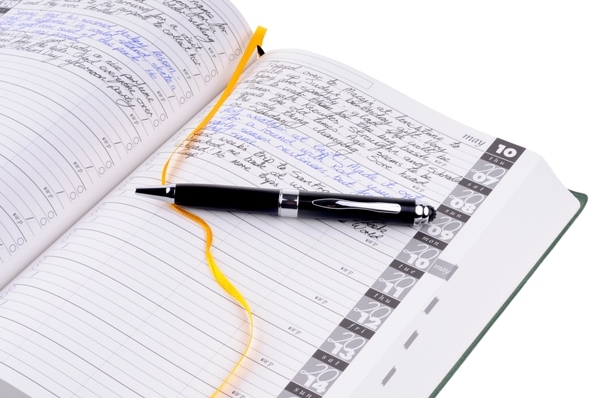 The Journal 10+ provides a concise format for recording important events and keeping track of everyday life. I highly recommend this journal for anyone who recognizes the importance of keeping a record, but has a minimum amount of time for journaling. I am coming to the end of my current Journal 10+, so I have purchased the 2008-2018 edition for the next decade. It is amazing how often a family discussion has caused me to look back for a memory jog--What hotel did we stay at in Chicago five years ago? What was the name of the restaurant where we celebrated our 10th anniversary? What were we paying for gasoline in June of 2000 when we took that long road trip? Did it snow on Christmas day of '02? Easiest Journal Ever, October 13, 2007, M. Townsley "heliothryx"
The 10+ journal is the best journal I have ever used. I keep a variety of journals, but this is my favorite because I can write a quick daily summary that is great to look back on as the years go by. Each month has a title page, so you can give each day a topic, the high point of your day maybe. The journal has come in handy when arguments about when a certain family event, vacation, or pet problem occurred. If you can remember the time of year and month you can skim the topic/title page and locate the event. This is a great gift for a wedding, graduation, or birth in the family. Time does fly. . . 10 years ago I started my first journal, and after next month, will be starting another 10 year journal. It is good to look back and see who I was, what my dreams and goals were, and how I came to understand things along the way. Good to see what friends I had, what happened when, what trips we took, and what changed and impacted my life. In addition to writing, I pasted photos of new kids, new cars, marriage and graduation announcements, ticket stubs to concerts, movies, and art shows, and dried flowers from my sister's wedding. One learns how to connect with your inner self, and then try to express your thoughts in writing. Hard and awkward at first, but invaluable once learned. Even if you miss an entry, you can fill it the following year. Will definitely be the first thing I grab if told to evacuate due to the southern CA wildfires. I have tried for years to keep a journal, and never stick with it. The format with this book, though, makes it easy. It has a page for every day which shows 4-line entries for 11 years, and it's not time consuming to write 4 lines. I love the month at a glance page which has a box for everyday of the month, spanning 11 years on 2 pages. Very cool to be able to glance at memory joggers in such an organized fashion. I use a different color pen for everyone in my family, so I can see at a glance which one-word entries go with certain people. Would have left out the address book pages; got a Blackberry for that. Otherwise, this book is perfect. Cover is durable and soft; wouldn't want leather anyway. the perfect diary, November 17, 2008, Julie Lu "Reader of the Lost Art"
A friend recommended this journal. It's perfect for me. With just four lines to use (more if needed in back), I don't feel the burden of creating an entire entry. I love jotting down quick thoughts or observations of my days, a child's activity, a vacation memory, or an important event I don't want to forget. Even if the day is unremarkable, the short space invites the writer to forge a few impressions of the day. The ten-year comparison feature is bound to be invaluable in seeing the progression of the years! Worth the investment! I was hesitant at first since I'm not into keeping journals but I really wanted to jot down a few things here and there now that I have 2 kids. This is perfect for just that and I've really started to enjoy using it. My sister in law recommended it and I'm so glad she did. I look forward to looking back at past entries (with this book's formatting, its easy to do that!) If you want to write a lot for your daily entries this won't work but for noting a few sentences each day its great! I ordered this for my neighbor after she saw the one I had been keeping for four years without missing a day. The entries are sometimes very brief or go to the add-on pages, but I always have time for something, even if it is just the weather. Invaluable resource in tracking medical history, etc. I highly recommend it. I put off purchasing this journal for too long! What a great keepsake. Love that there's only four lines per day. No pressure to write a whole page. Plenty of carryover space in the back if there is "extra" for a special day. Easy to keep up, I write in mine every night after the kids are in bed. Can't wait to look back in time years from now and know what we were doing back when. My mom has had this journal for 4 years, and when my first baby was born she gave me one for Christmas. I have tried for years to keep a journal and usually end up with only 2 or 3 entries a year. This journal has been so great for me because it takes the pressure off- only a few sentences a day, or if I'm feeling up to writing more, there the extra pages to do so. It has doubled as a baby book- I can flip through and find the date my daughter first rolled over, got her first tooth, had cereal, crawled, walked, etc. I'll be giving it to all of my friends as they get married/have babies. I love it! I started out in 2000 with the 5 Year Journal by Doreene Clement, but I ran over on so many days, and there were no overflow pages, plus every end of month/quarter/year there were all these questions about what your favorite movie/book/etc. was at the time. As a new mother, who had time to watch a movie? I found this journal in 2001, but alas, I had four more years to go on the one I had! When 2005 rolled around, I bought my 10+ journal, and I LOVE it! It has plenty of overflow pages, all located in one spot at the back of the book, with a place on each day to put what page your overflow is on. It's just enough room to write down what was important (kid got a tooth, said "mama" for the first time, got a promotion at work) but roomy enough for the days that I have a lot to say. My only fear is that I will run out of overflow pages before 10 years is up - I've been especially wordy this year! It is very neat to look back several years ago each day and find out what we were doing then. It's also a great way to be reminded of all the small blessings we have each day that we forget to be grateful for once they pass out of our minds. All in all, I can't think of anything I would change about the 10+ Journal! I purchased one of these 10 year calendars TEN years ago, used it for TEN years and just ordered a NEW one for the NEXT ten years. I use it for setting business and personal goals AND tracking the status of meeting those LONG TERM goals. I also use it to document business trips, visitors' visits, vacations, birthdays, anniversaries, weddings, major purchases, major investments, relationships, and ALL important events. I highly recommend it. I've had one of these for 2 years and love it. I write a little each day and now have a great record of my kids' early days. I would never have this much in their baby books! I also use it to keep track of books I've read and movies I've seen. It's very flexible and has lots of extra pages to use as you see fit. reminisce. And now with three kids under the age of 6, I hardly have time to breathe, let alone write in a journal. But I only have to write a sentence or two and it will be in there forever, so I can look back in a few years, easily find a date in question and remember what happened. Even though I was given this gift before I had children, I realized how practical it was, and that even the busiest person could find time to jot down a day's events. I absolutely LOVE this journal and would recommend it to everyone. I like this journal because it has actual dates in it, as opposed to a free-style journal. It's easy to look up what happened on a particular date. I was looking for a journal that just had short entry spaces per day, because I never have much time to write. This one fits the bill! There are continuation pages in the back if you really have a lot to say one particular day. I might have preferred a 5 year journal with slightly larger entries in it, but it will be nice to keep 10+ years together in one book. My kids are 2 and 3, and I can hardly imagine writing about them when they are 12 and 13! It'll be great to keep track of things they are doing. This book gives space for a SHORT entry for each day for eleven years. The beauty of this is that even busy people can jot down the highlights they want to remember without being intimidated by unlimited blank journal pages. But if they do get carried away occasionally, there are lots of "carry-over pages" in the back for just this. Also, all the entries for a date are on one page -- it's fun to see what you were doing on this date last year, five years ago, etc. On the month-at-a-glance pages I like to record when the first violets appear each year... The book is very helpful for accurate record-keeping, is loaded with nice extras and options for use...really helps a person "number his days" and hold the memories.